Nestled in the shadow of the breathtaking Bull Run Mountains, this private gated community features resort-style amenities, including a fabulous Sports Pavilion, miles of recreational trails, a grand clubhouse, indoor/outdoor pools, meeting rooms and exercise rooms, and a spectacular Arnold Palmer Signature Golf Course – all with luxury homes designed for exceptional family living. 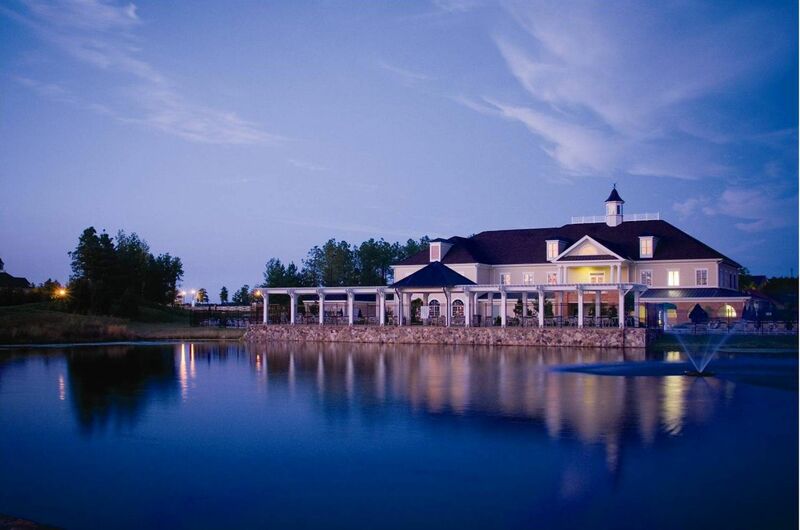 Dominion Valley Country Club by Toll Brothers, is a private haven in one of the country's most vibrant areas – where every day feels like a vacation. 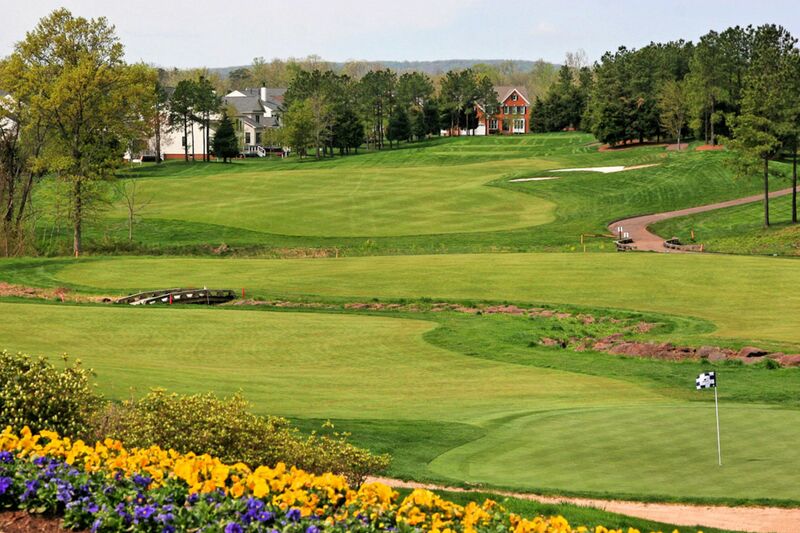 Enjoy viewing the Country Club in this overview video of the golf course and other amenities offered by Dominion Valley Country Club. 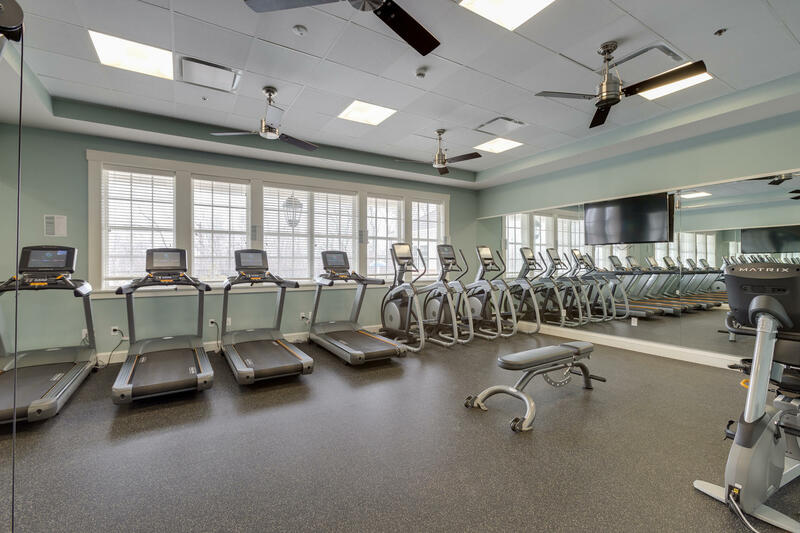 Fitness is a family affair at our spectacular Sports Pavilion (owned by country club), featuring state-of-the-art exercise equipment, aerobics studio, tennis courts, and indoor basketball/multi-purpose courts. Our Activities Director coordinates family activities throughout the year. 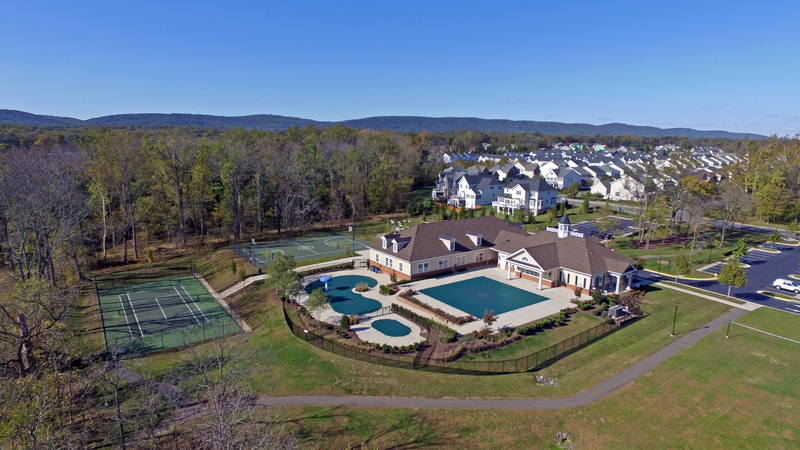 Throughout Dominion Valley, there are 5 swimming pools. The largest pool located behind the Sports Pavilion completes the country club experience. 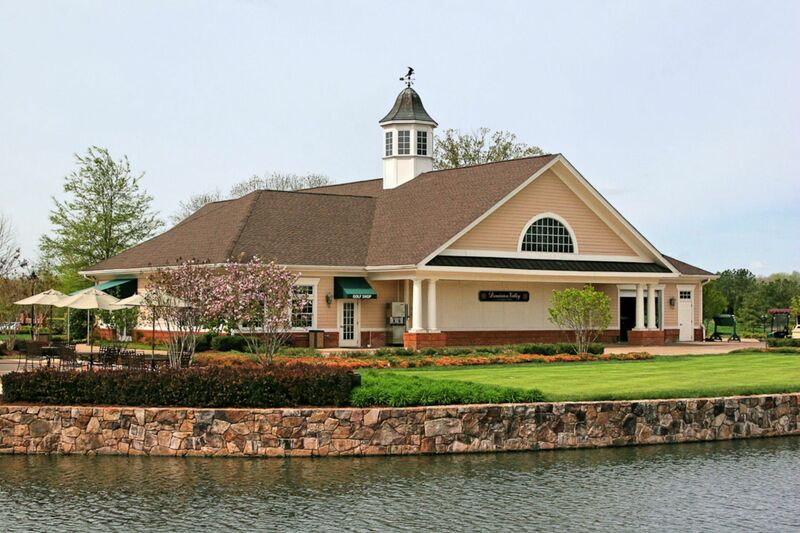 Three additional pools, Ryder Cup Recreational Center, Gainesmill Recreational Center and Waverly Club (owned by HOA) are located throughout the community. 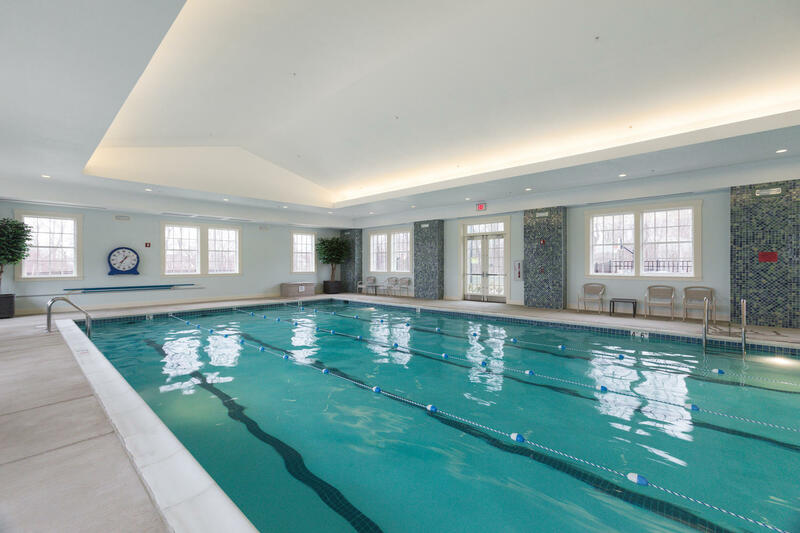 Waverly Club also hosts an indoor pool, exercise facility, meeting rooms, outdoor sports courts and play ground. See the Dominion Valley map for location of all the recreational amenities. Wildlife habitats have been nurtured, wetlands have been carefully preserved, and farm ponds have been rehabilitated to enhance water quality. Homeowners have hundreds of acres of woods, lakes, and ponds to explore. Golfers can enjoy playing in a natural gallery that includes stately oaks and birds, deer, and other wildlife. Miles of hiking, biking trails weave throughout the community. Outdoor sports include tennis, volleyball, basketball, and fishing. 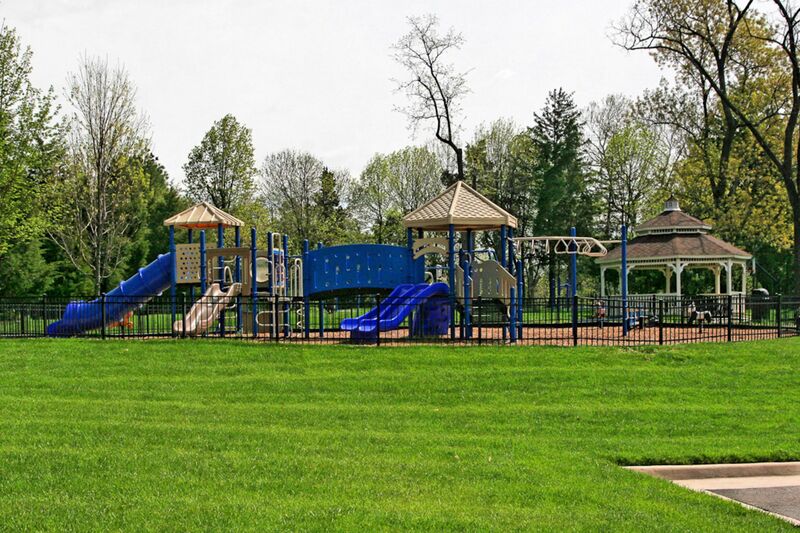 Also within Dominion Valley is Waverly Park – a private HOA owned recreation area with a indoor and outdoor pool, playground, basketball courts, ball fields, and picnic facilities – for homeowners only. His name is synonymous with championship golf – and his Signature Golf Course at Dominion Valley Country Club is no exception. 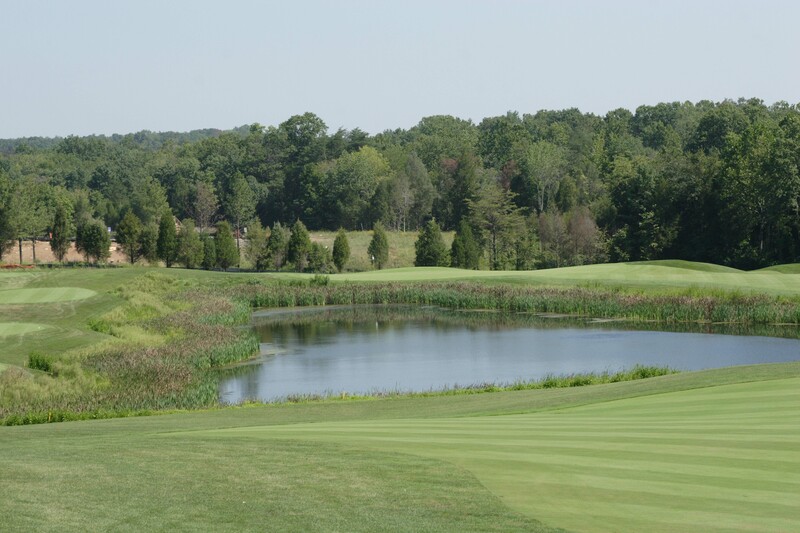 Designed to complement the natural terrain, the course has 18 championship holes, 8 water hazards, wide fairways, wooded areas, and elevation changes to challenge amateurs and pros alike. The course plays along Little Bull Run Creek, where rolling topography, mountain views, and wildlife habitats make a charming natural gallery. 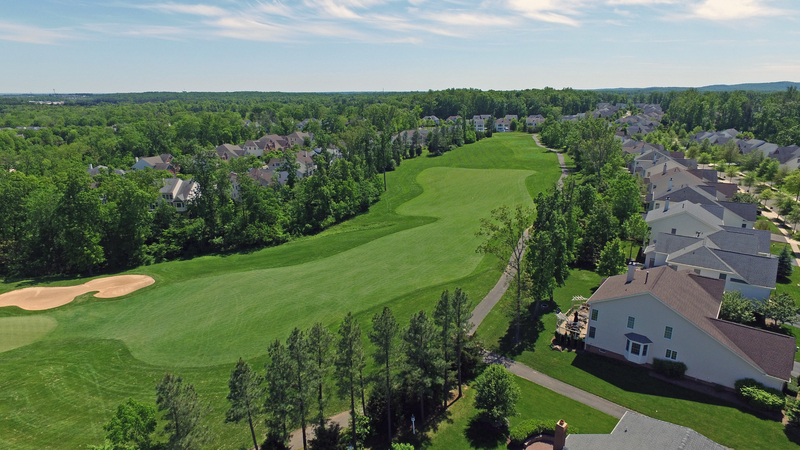 Our members also have access to another 18 holes of golf – right next door, at our active-adult community, Regency at Dominion Valley. Together with our experienced golf pro, the immaculate putting greens, driving range, pro shop, and Clubhouse complete a picture-perfect golf experience signed by Arnold Palmer. Cathy and Dave Strittmater have lived in Dominion Valley since early 2002 when the community first opened. Cathy's Home Team has conducted over 325 transactions within the community and have leadership roles in the community including Cathy sitting on past HOA board and Dave being the first Men's Golf Association President, serving two terms, in the community when the golf course first opened. Contact Cathy at 703-608-6342 when seeking information about this community. 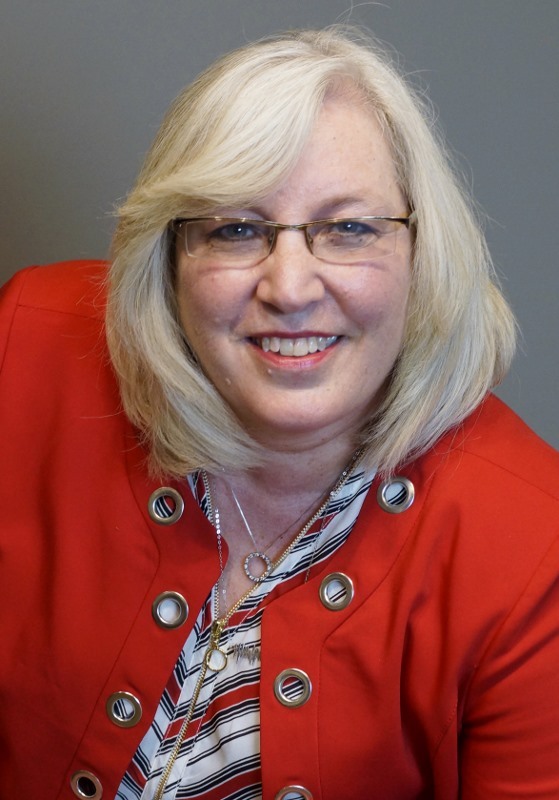 Cathy knows every floorplan, upgrade and has depth and breadth of knowledge that is unsurpassed about Dominion Valley. 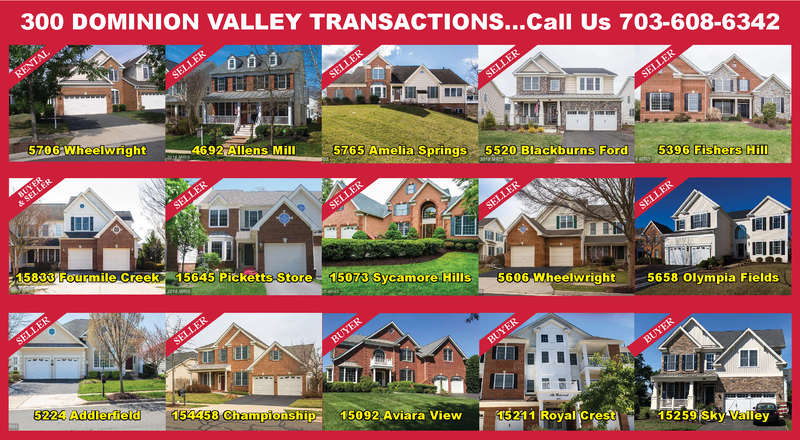 Here are the homes Cathy's Home Team has sold or leased Jan-June 2018 in Dominion Valley! 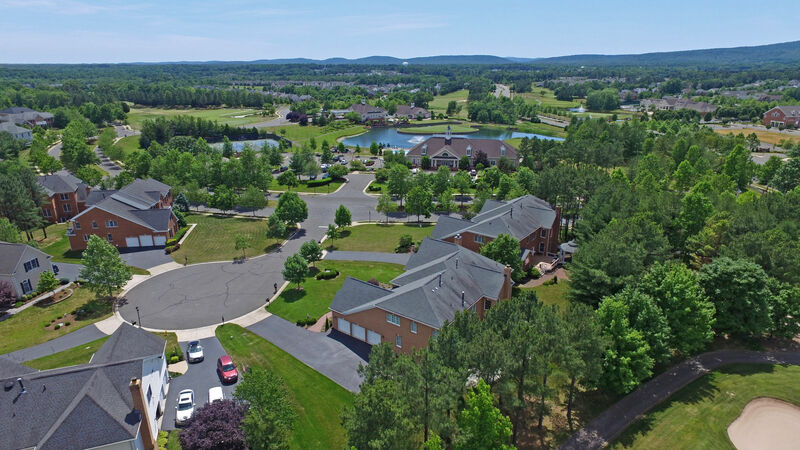 For every household in Dominion Valley there are Home Owner's Association fees as well as Country Club fees that pertain to each home within the community. The following explains these fees and their structure. 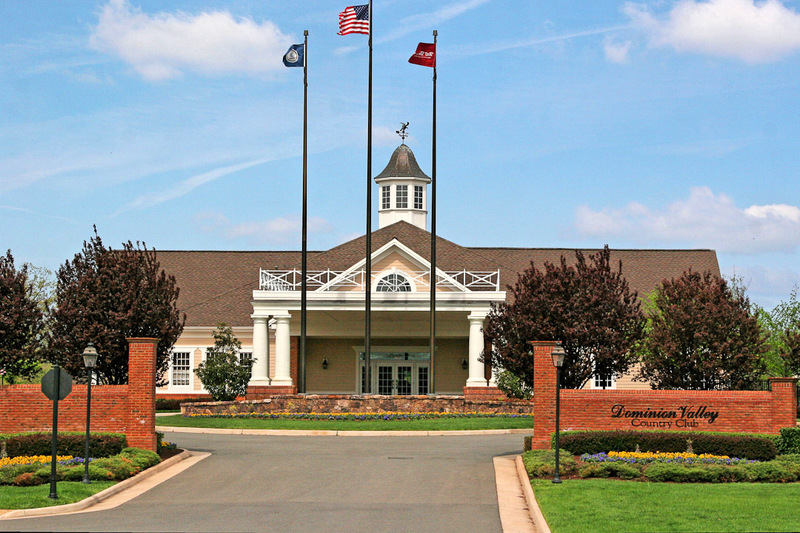 Every household in Dominion Valley has a one-time Capital Funding fee of $2500 that is paid to Dominion Valley Country Club. Fee is paid at time of closing. Purchasers who buy a newly constructed home or a quick delivery home from Toll Brothers, Toll Brothers automatically picks up this $2500 one-time fee. The fee is also required on any re-sales and the $2500 fee must be negotiated between buyer and seller, but it is considered the responsibility of the buyer to pay this fee. This fee is disclosed in the Dominion Valley Owner's Re-Sale Packet that must be provided to every buyer. Every buyer who builds a new construction home in DVCC or purchases one of Toll Quick Delivery homes will pay a one-time HOA capital funding fee of $1250. This fee is not to be confused with the $2500 capital funding fee to the country club. Toll Brothers will pay the fee to the country club on new construction or on Quick Delivery homes, but they will not pay the $1250 funding fee to the HOA. Re-sale homes DO NOT have the $1250 HOA funding fee. This fee is only paid ONCE on new construction or quick delivery homes. The $2500 capital funding fee to the club is paid on all re-sale homes (including short sales and foreclosures) and this fee is the buyer's responsibility. Every household is also required to be at a minimum a social member of Dominion Valley Country Club. Monthly social membership fee is $74 per month for each household. For residents who wish to be fitness members or full golf members, there are higher monthly fees for this type of membership. Please contact the membership office for further details regarding the fitness and/or full golf membership fee structure. All social aspects of the country club facilities. The club hosts numerous dining and social activities throughout the year that all social members can partake. Some of the activities are free of charge while others have a cost associated with them (i.e., Comedy Night, Easter and Mother's Day Brunch, New Year's Eve Party, Father-Daughter Dance, etc.). Dinner at the country club restaurant is open to all members as well. These are the majority of services provided overall. There may be other services included but not notated in this list. Read the Dominion Valley Home Owner's Documents (Re-Sale Packet) for a complete list of all services provided. All attached homes (Tournament and Carriage Homes) include lawn mowing and trim maintenance of their yards. The monthly fees also include weed control and fertilization of the lawns multiple times throughout the year. Some carriage and tournament collection homes also include exterior maintenance of their properties. Some of the exterior maintenance includes gutter cleaning, roof replacement (entire roof) and exterior painting (entire building). Please read the Dominion Valley Home Owner's documents for a complete explanation of what is covered in exterior maintenance package. 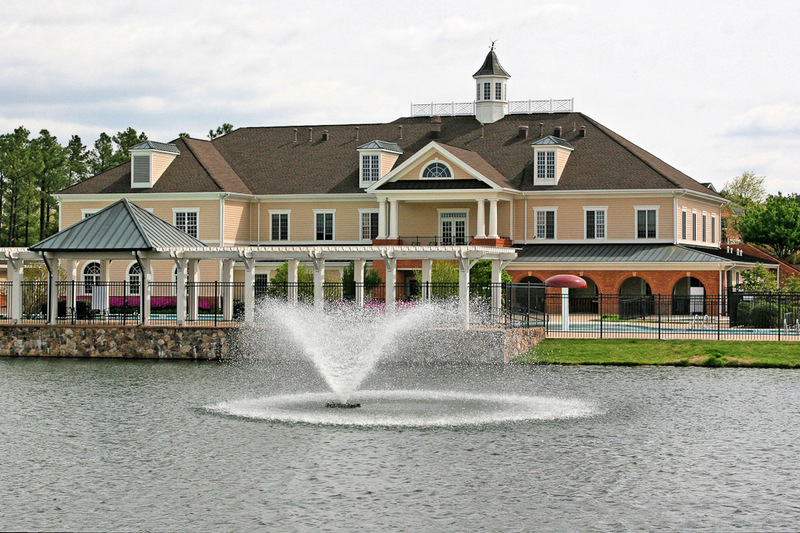 For more information regarding Dominion Valley Owner's Association contact 571-261-2873. Each household is given two gate transponders that will open any of the gates within Dominion Valley. Homeowners can purchase additional gate transponders for $35 up to 6 transponders per household. Homeowner uses gateway.us to set up their permanent and temporary guests. Included in the HOA documents is a very large section on covenants in the community. It is VERY important that buyers read through these documents when purchasing a home in Dominion Valley. Buyers have 72 hours from point of delivery to review documents and raise any questions. After 72 hours has passed, this contingency is removed from the contract automatically. It is also important that owners carefully read through these documents when adding items to the exterior of the home such as decks, patios, fences, hottubs, hardscapes, irrigation systems, changing paint colors, lighting, etc. The Covenants Committee will need to approve many items that homeowners want to complete. It's extremely important the guidelines be followed closely. In the future when a property is sold, the HOA does an exterior inspection of the property. This is in accordance with providing an updated copy of the HOA documents to a new buyer for their 72 hour review. If items have been completed to the exterior that were not approved and are not in compliance, it will appear as a violation and the owner will have to rectify before sale of property. When making application, as many photos as can be submitted to show the materials that will be used, such as: photo of the fence picket and posts installed, picture of deck material, patio material, new lighting, etc., the more quickly the application will be approved. Fencing has come up as a topic quite a bit in the community. There are two fences approved for use in Dominion Valley: a wood board picket fence that must be stained a specific shade and the black aluminum fences. Fences can only be installed on non-golf course lots (unless a private pool is being installed). Homes with clear view of the golf course cannot fence other than invisible fences used for pets. A supplier that stocks the correct wood fence picket is: Barron's Lumber. The name of the picket approved by Dominion Valley is called Gothic at Barron's Lumber. The information contained in this post is deemed reliable as of December 2017. Please contact DVCC Owner's Association or Dominion Valley Country Club for complete information or for further clarification @ 571-261-2873. Dominion Valley has four public schools built currently within the grounds of the community. 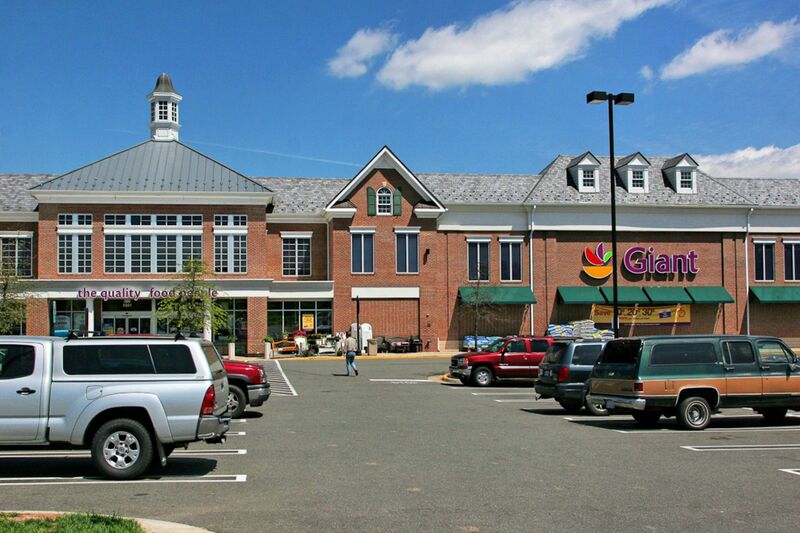 Within the grounds of the community is an assortment of shopping including but not limited to grocery store, bank, hair salons, restaurants, pharmacy, veterinarian, orthodontist and more. Nearby shopping is Super Walmart and Kohls in Haymarket. Atlas Walk in Gainesville has many shops and big box stores: Super Target, Best Buy, and Lowes. Several restaurants are located within Atlas Walk and an Imax movie theatre. 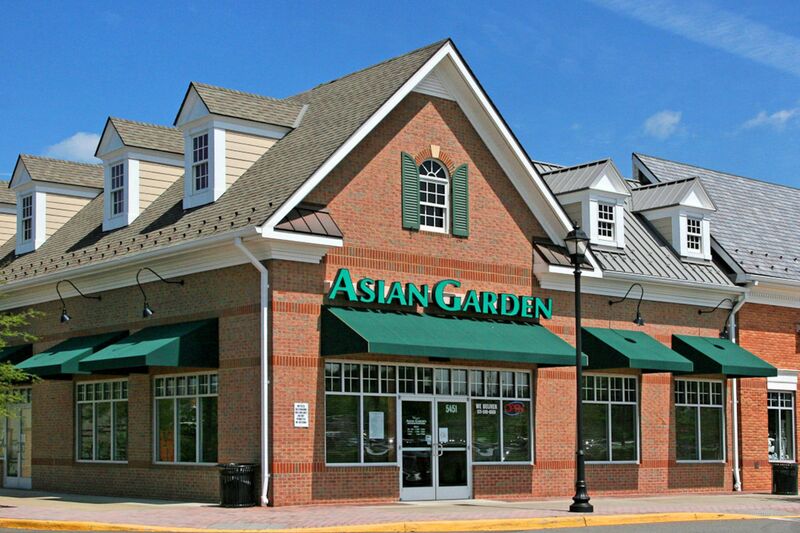 Nearest mall is in Manassas. 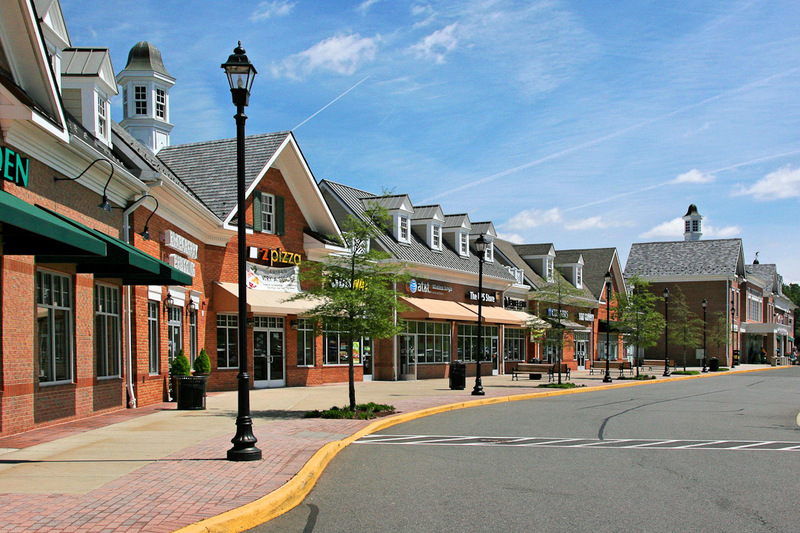 The nearest regional mall is Fair Oaks in Fairfax County at the intersection of I66 and Rt. 50. The nearest outlet Mall is in Leesburg. A variety of health care providers reside in nearby Haymarket and Gainesville from dentists, oral surgeons, orthodontists, chiropractors, pediatricians, family medicine, orthopedists, cardiologists, specialty in allergies, etc. A cancer center and urgent care center is located in Gainesville. Also a new hospital, Heathcote Health Center, located at I66 and Rt. 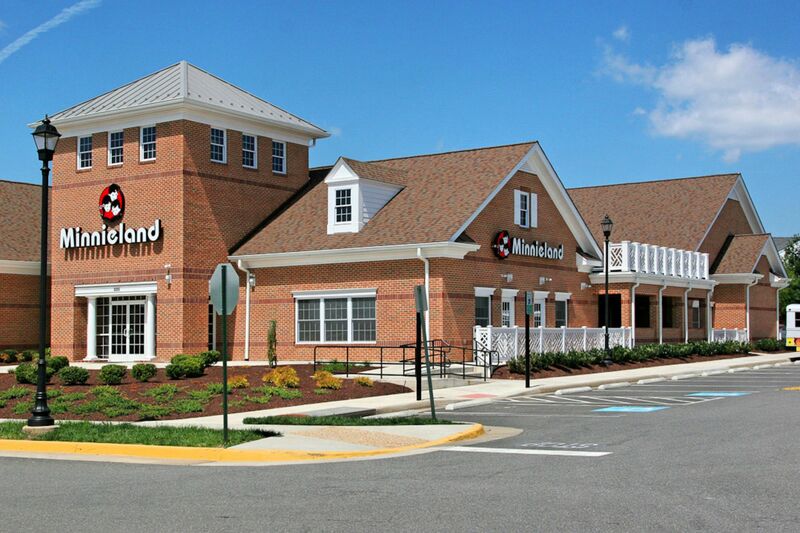 15 (James Madison Highway) just down the road from Dominion Valley opened in 2014. TO SEE ALL ACTIVE LISTINGS IN DOMINION VALLEY GO TO OUR DOMINION VALLEY FACEBOOK PAGE.